The probe, which is scheduled for a July 31 launch, will study the sun’s mysterious corona and the solar wind. GREENBELT, Md. 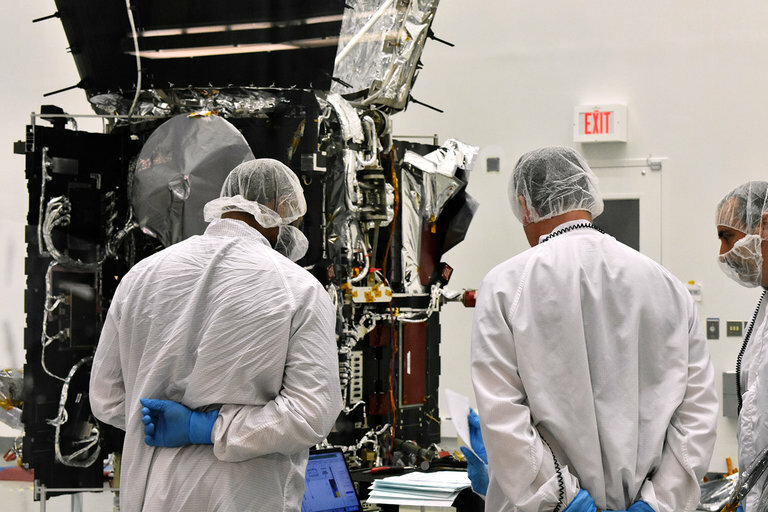 — Final checkouts are completed here at NASA's Goddard Space Flight Center to prepare the agency's Parker Solar Probe for launch. Last weekend, the team sealed up the spacecraft and prepared it to ship to the launch site in Florida. In the wee hours of the morning on Sunday April 1, the "coolest, hottest mission to the sun" took off aboard a C-17 aircraft, bound for the Space Coast of Florida. Once the spacecraft arrives there, it will be prepped for a July 31 launch. The Parker Solar Probe team addressed members of the media on March 28 at Goddard Space Flight Center in Maryland to share details of the upcoming mission. Nicky Fox, project scientist at APL, explained that this is a historic mission. The idea for an up-close study of the sun's outer atmosphere, called the corona, predates NASA; such a study was first proposed in 1958. It has taken six decades for this mission to come to fruition, "not because we weren't excited," Fox told reporters, "but because we had to wait 60 years for technology to catch up with our dreams." The probe is currently scheduled to lift off from Cape Canaveral on July 31 atop a United Launch Alliance Delta IV Heavy rocket; the spacecraft will then race toward the sun at approximately 450,000 mph (720,000 km/h). The Parker Solar Probe will arrive at the sun in November and then spend seven years studying the star from 3.7 million miles (6 million km) away, eight times closer than any other spacecraft that's come before it. During the mission, the craft will make 24 orbits around our star, while passing by Venus seven times for gravity assists. The probe will employ its suite of instruments to help unlock the mysteries of the sun, while trying to survive the encounter with our star. 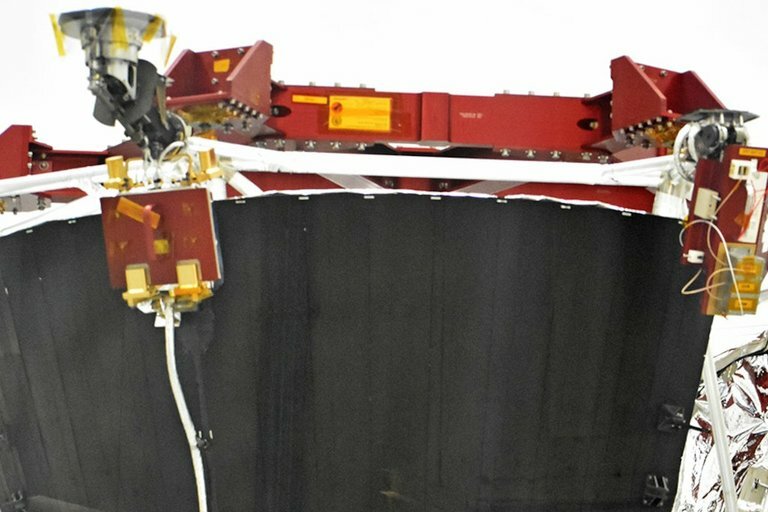 Protecting the craft is a one-of-a-kind heat shield, an engineering marvel built to withstand searing temperatures of 1,400 degrees Celsius (2,550 degrees Fahrenheit) during the probe’s closest approach, Fox said. By taking a wealth of measurements and images, the probe is expected to revolutionize our understanding of the sun — in particular, the corona and the solar wind. Why specifically are we going to the corona? According to Fox, "That's where all the magic happens." As the probe's namesake, Eugene Parker, proposed many decades ago, we know that the sun's shimmering, hazy atmosphere, known as the corona, is approximately 300 times hotter than the star's surface. But this seems to break the laws of nature, Fox said: She compared the sun to a campfire, but as you walk away from the fire, you somehow get hotter. Parker himself proposed one of the leading explanations for why the corona is so much hotter than the sun's surface, suggesting that the corona is superheated due "nanoflares." A complex system of plasma, magnetic fields, and energetic particles can spark solar explosions that trigger these flares. If an abundance of nanoflares erupts from the sun, that could explain the coronal heating. There are many proposed explanations for what causes the heating, Fox said, but until we can sample the corona, we cannot test those ideas. This is where Parker Solar Probe comes in. But that's not all it will do. 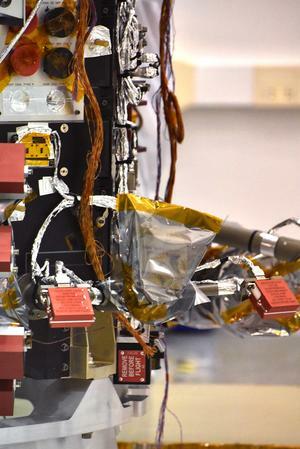 The probe will also help improve space-weather models by studying the flow of ionized gases that stream from the sun into space, called the solar wind. Increases in the solar wind can wreak havoc on Earth by damaging communications systems and power grids, as well as increasing radiation threats to astronauts on orbit. As the stream of particles leaves the sun, it can actually speed up instead of slowing down, Fox said, racing toward Earth (and other planets) at millions of miles per hour. "Where we see heat [in the corona], we see the solar wind get energized," said Fox. That wind can bathe all of the planets in solar material, and it can then interact with the Earth's magnetic field and create dangerous space-weather conditions. Just like with weather on Earth, space weather is closely monitored. In order for scientists to generate accurate forecasts to better protect society from the sun, they need to understand the physics and the mysteries of the corona. Data that will be collected by the Parker Solar Probe is "the last piece of the puzzle for us to model the sun and its effect on the Earth," Fox said.Fox added that this mission will also help us better understand other stars in the universe by studying our star in great detail. 'We Don't Planet' Episode 1: What's the Structure of the Sun?